Robots walk among us! They’re here to take our jobs, steal our women, enslave us in robot camps and call us unpleasant names. 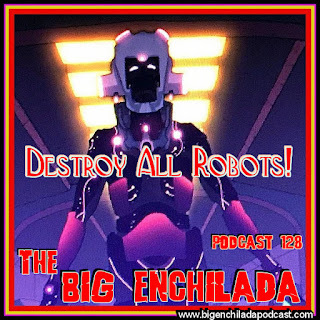 This episode is a call to action to DESTROY ALL ROBOTS! Except the friendly ones, of course. Welcome to the 10th anniversary of The Big Enchilada!!!!! 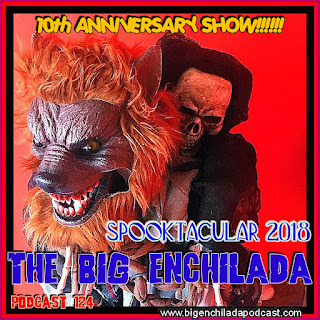 And just like my very first podcast back in October 2008, it’s another Halloween show. 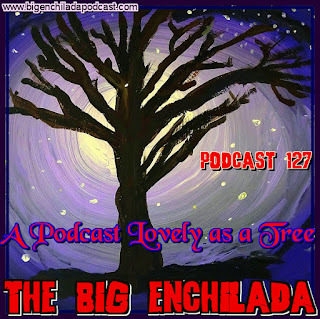 So brace yourself, Bridget, it’s a twitchy, witchy, blood-suckin’, flesh-eatin’ nightmare of an episode and there’s not a ghost of a chance that you won’t love it. 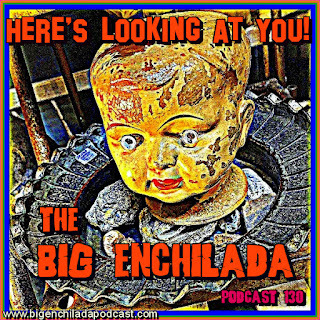 Remind your loved ones that The Big Enchilada is officially listed in the iTunes store. So go subscribe, if you haven’t already (and gimme a good rating and review if you’re so inclined.) Thanks. 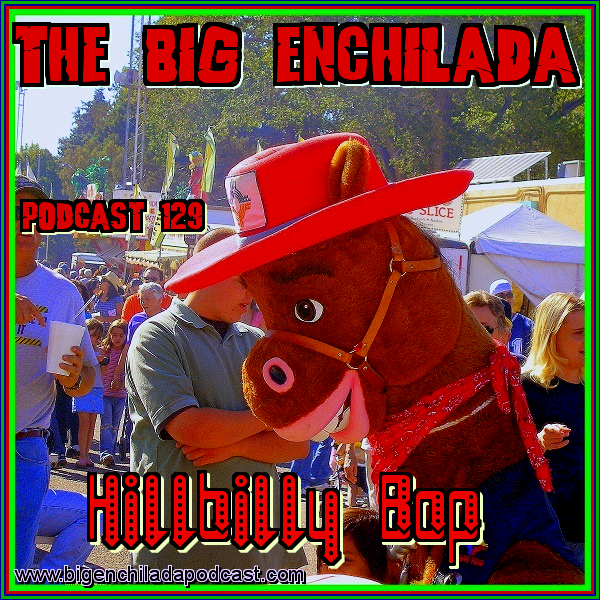 It’s chile today, hot tamale! 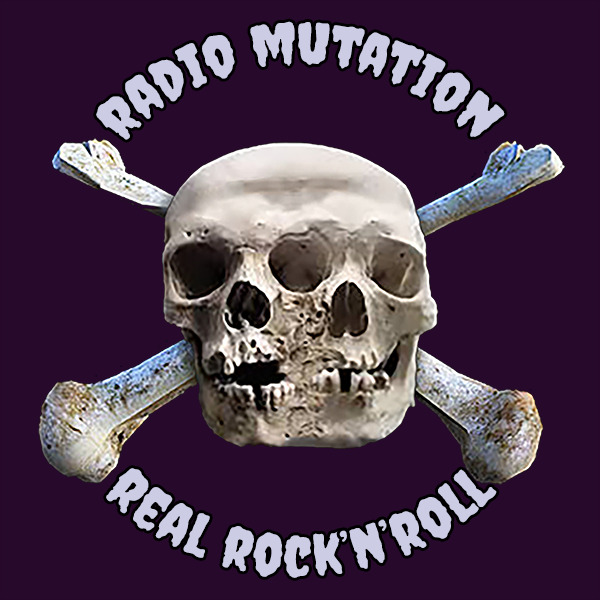 And these are the most red-hot sounds on the Internet—Joe “King” Carrasco, Billy Childish, Mark Sultan, Charlie Pickett, The Morlocks and much, much more. 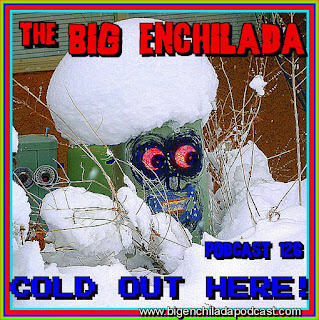 So grab a bowl of chili beans at Jack’s or John’s or Jim’s or Jean’s and let this month’s BIG ENCHILADA warm up your eardrums. 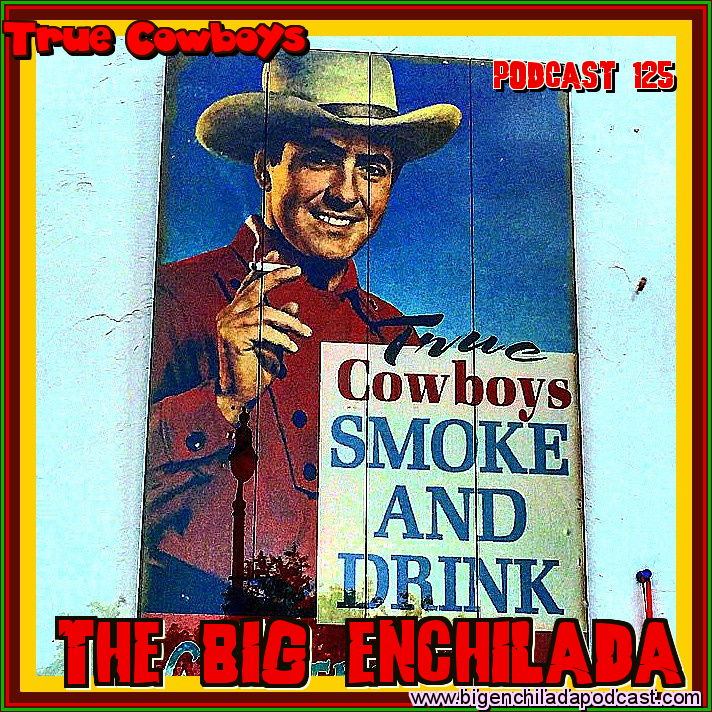 Welcome to another thrilling episode of The Big Enchilada. 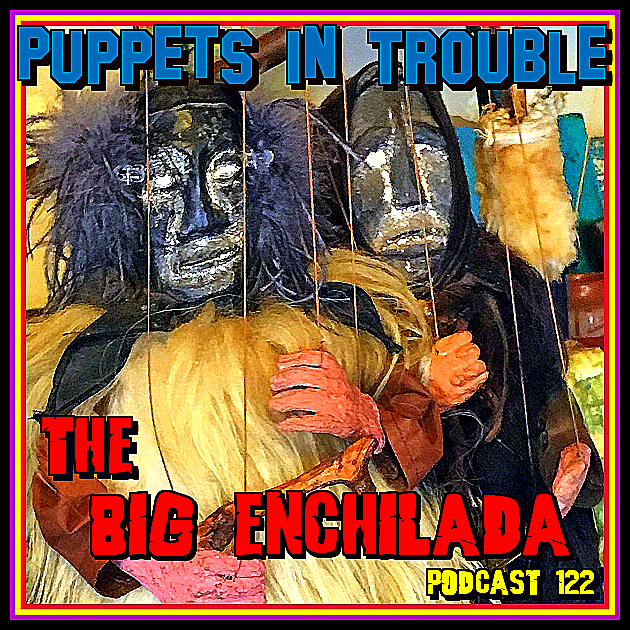 This one’s called Puppets in Trouble, because we all know that trouble is brewing in Puppetland and nobody causes trouble like those lovable puppets do. 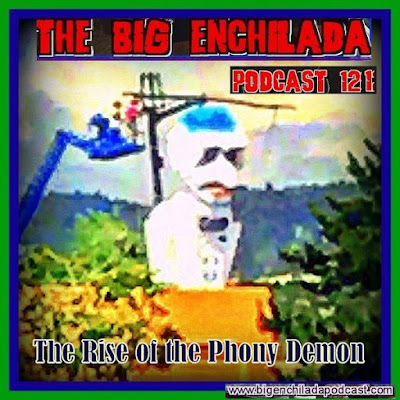 A phony demon is better than no demon at all. And now it’s time for good old-fashioned demonic rock ‘n’ roll with bitchen sounds that even the angels can cherish. 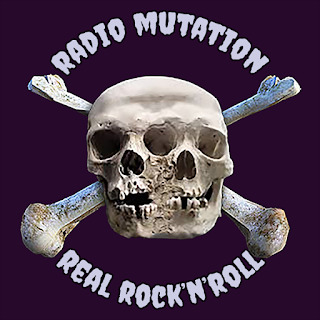 There’s even an entire set of songs that musicians have submitted to Radio Mutation. 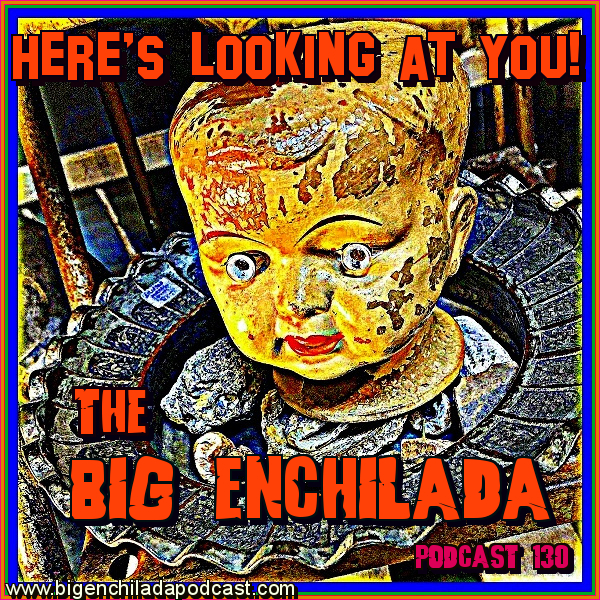 Remind your loved ones that The Big Enchilada is officially listed in the iTunes store. So go subscribe, if you haven’t already (and gimme a good rating and review if you’re so inclined). Thanks.